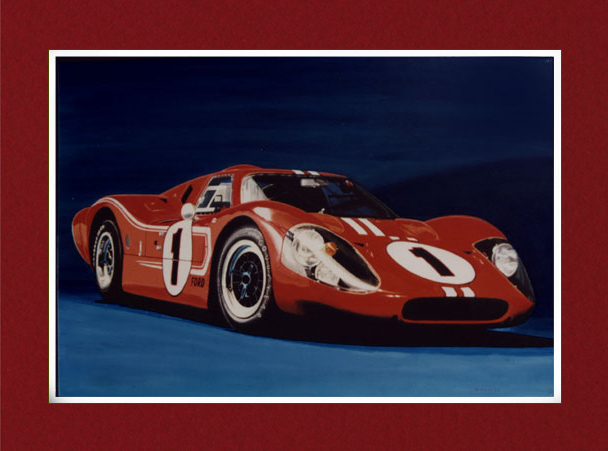 Commissioned work of Pete Gulick's Chevron B23, scanned sections. “The Mighty MKIV” Painting from photo provided by Ford. The only alternative for the FIA was to ban the large seven liter V8. As Americans like to say there is no substitute for cubic inches. This is one technically one of my best acrylic paintings when compared the the now paint splotched photo Ford provided me with. It is a one off and prints are not available. 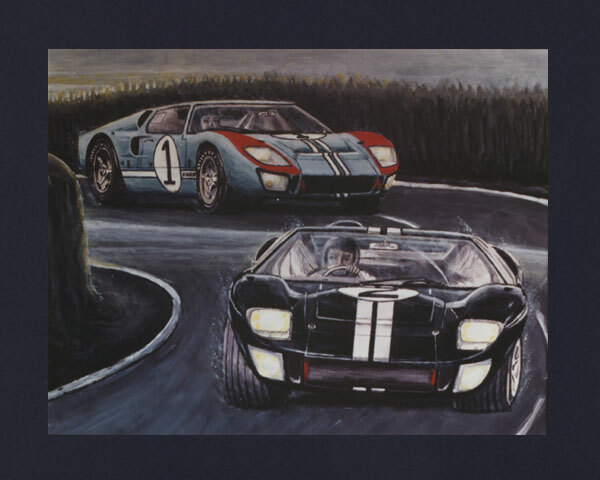 The GT 40s were the beginning of a new generation of midship racecars. This was the result of Ferrari not wanting to sell his company to Ford. Commissioned Acrylic Painting 15" by 25". Acrylic Painting 20" by 30". Acrylic Painting 12" by 20". Acrylic Painting 15" by 20". Acrylic Painting 13.5 " by 17.5".